When you spend more time indoors in the winter, you start thinking about what the house looks like. Upgrading to wood floors is a healthier option as the dust mites no longer have a carpet “beach” to lounge in. And the money spent adds value to your house along with the pleasure you get from enjoying the beauty of the floors. Bathrooms are another place where an upgrade adds value so head out to Golden Elite Deco Center because they can help you with both projects. There are locations on the island, the South Shore and Laval. 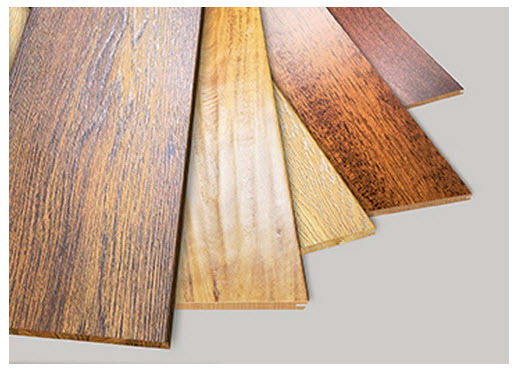 Golden Elite Deco Center have been a distributor and manufacturer of wooden flooring and vanities for over 15 years. The showroom features flooring, doors, vanities, kitchens, tiles (mosaic tiles, marble tiles and decking tiles) and adhesives selling at warehouse prices. 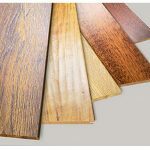 The types of flooring they sell: hardwood flooring 3/4″, engineered flooring 1/2″, laminate flooring 12.3mm and 8mm, engineered floating floor and vinyl floors. The floors have 10-14 layers of varnish, 1 layer of aluminum oxide anti-scratch and are precision milled (installers love installing their wood because of the milling). Since they are the manufacturer, you skip the expense of a middle-man, so expect savings between 25%-40%, which is quite good. Their sales staff is knowledgeable, they know the manufacturing process from A to Z, as well as details concerning maintenance, sanding, refinishing and installation.Their website is chock full of ideas with very concise details about sizing, finish, colors and prices. Here it is easy to check out their selection of vanities too. You can just about shop from home and then select the store where you would like to see and then purchase your merchandise. 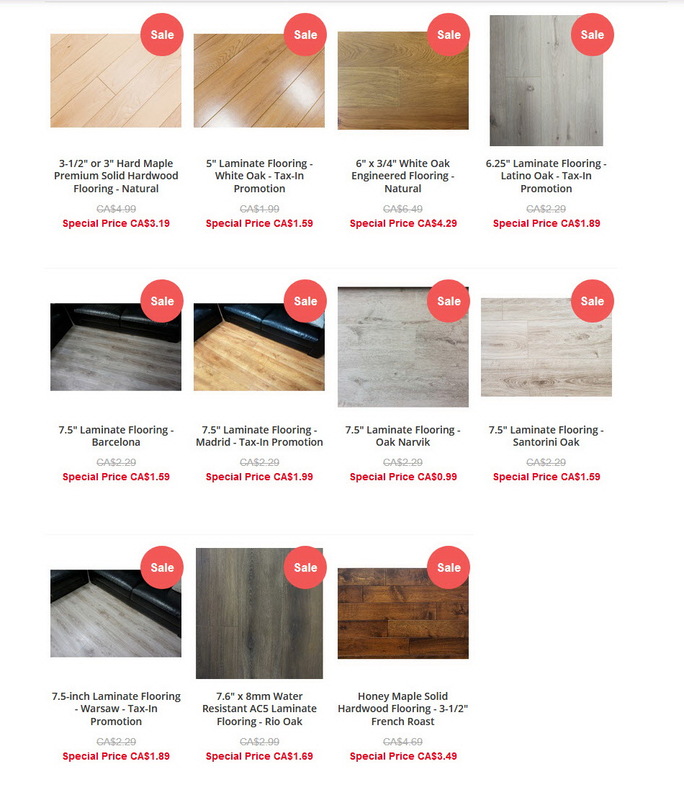 If you need extra incentive check out the photo below where you will find a special selection of flooring that they are currently offering at a great savings and a tax-included special. These include overstocked items and end-of-lots. This entry was posted on Saturday, January 26th, 2019 at 12:43 am	and is filed under Household. You can follow any responses to this entry through the RSS 2.0 feed. Both comments and pings are currently closed.